Gardeners are the most generous people. My neighbor, friend, and fellow gardener Jean bestowed upon me the sweetest Christmas gift I can imagine. It's so creative that it deserves to be shared. Jean is a fellow gardener who, with her husband, bought a Portland bungalow three houses down from us a few years ago. It had been a rental and not in the best of shape, but with her infinite magic Jean transformed it and the surrounding gardens into a welcoming beacon on E. Burnside. The mystery garden box. It sat under our tree until Christmas morning with the wonderful dibbler or bulb planter on top. It was quite an effort not to open it early. With the lid removed: Ta-da! Not only is Jean a gardener, but she is also an artist. She made this box, a kind of "advent calendar for gardeners" is how I describe it, complete with little hearts for pulls. Inside each little compartment was a miniature forest floor cradling a tiny treasure. A scrub brush for filthy nails and hands. Yes, that's me. Underneath which can't really be seen are three miniature garden tools (to help Mr. Hedgehog with his garden?). A mystery bulb (in a nest of moss) that shall be planted soon. The earthy, musky lovely smells of handmade soaps. Brings to mind a vague childhood memory lost to me. A lovely treasure. Sweet acorns make of wood. It is the holidays, after all. Last but not least -- some wonderful little pruners. Can you imagine receiving such a gift? I am beside myself with glee, opening and closing the doors to rediscover each treasure repeatedly. It reminds me of that moment in the movie Amelie when she, Amelie, finds a box of treasures a young boy had hidden in her apartment years earlier. Lately, Jean has been delving into the world of ceramics and let me share with you a preview, more to come. How about this for creative? Little cups. Love them...these were also gifted to us from Jean. Gardeners are the most generous people. 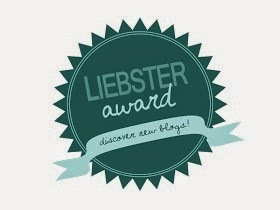 Secondly, I have been honored by Anna Kullgren of Flutter and Hum with a Liebster Award, an award given to bloggers by fellow bloggers. Thank you, Anna! I am honored! To accept, I need to answer the following questions posed to me by Anna, and, "Yes, I accept, Anna!" I blog to bring like minds together, to talk about sustainable ways of gardening and to share experiences of the natural world. It helps me to catalogue my garden and the many places I've visited. My mission is to share my love of native plants and pesticide-free gardening, and to hopefully inspire others with solid examples and results from my own garden and others. 2) What makes you happy? Being in my garden all day with my husband nearby enjoying the outdoors alongside me. 3) If you could live anywhere, where would you live? A nice chunk of quiet, fertile land in the Willamette Valley, facing south and west with a gentle slope, a forest in the background and beautiful soil (and an uber cool house). Plus, the Bengals! 4) If you had to lose one of your senses – which one would it be? Hearing, vision, touch, smell or taste? Someone said taste so they could just eat healthy food and not worry about it. I'm tempted to choose taste for the same reason but I think I'd say hearing. I like food. 5) What does your perfect day look like? Refer to question number 2. Or, a day traveling with my husband, perhaps visiting with friends abroad, exploring some little village together, beautiful weather, people and food ahead of us. 6) If you had to pick only one cuisine to eat for the rest of your life, which one would you choose, and why? Oh, man. Not fair. Jap-ital-indi-greco-mexi comfort food. 7) What book are you reading right now? Which books? I have about eight on my nightstand that I rotate. Besides seed catalogues, I am reading: Designing with Plants, The Two Towers, Gertrude Jeckyll, Cat Sense, Vegetable Gardening West of the Cascades, and Succulents Simplified. What is underneath that pile? Life of Pi, How to Write a Sentence, Watership Down, Great Expectations, and my husband's book Alone is Not How to Leave Me. 8) Which is your favorite movie? Hmmm….today? Amelie. Although I just watched Only Lovers Left Alive and it intrigues me to the point that it should be on some kind of list of mine. 9) Do you have a favorite color, and if so – which? Green green green. Clear ocean green, seaglass green, fern green. 10) Which is your favorite place to visit? Mexico is up there, Europe is too. The Oregon Coast, any warm coast with turquoise waters. Hiking in the woods. 11) Name five famous people (dead or alive) that you would love to invite to a dinner party at your house. Oh, Catherine the Great, Queen Elizabeth I, Dr. Martin Luther King Jr., Freddie Mercury, John Lennon, Oprah, Pope Francis, my grandmother (famous for her pancakes), Aristotle, Cleopatra. More than five but I'm making my own rules. 1. What is something about yourself even your family doesn't know? 3. If you could have one superpower, what would it be? 4. Your hero just walked into the room. What do you ask her/him? 5. Recurring dream? Describe it. 6. One thing you thought you knew really well but turns out you know nothing about at all. 7. Worst date ever. Best date ever. 8. Is white chocolate really chocolate? 10. If you could go back in time and live in any era you wanted, what would that be? 11. What does gardening mean to you? Go forth and blog! The deal is you five bloggers, should you accept, answer the following questions, link back to this post and nominate others that are worthy. Thank you for reading, next up is a look at another summer garden from the 2014 Garden Blogger's Fling. Happy gardening! Such a sweet and cute gifts! Love the chicks! That advent calendar is fabulous, what a wonderfully creative gift to make and to receive. And thanks for the nomination. I was also recently nominated by another blogger with a different set of questions, so I'll have to see about doing a double post. It's hard for me to answer questions like this that reveal things about myself, I'm never comfortable when the spotlight is on me. That box is the perfect gift for a garden - how creative! Congratulations on your Liebster award too! Wow - what a brilliantly thoughtful gift. I have no willpower with gifts and would have dove in immediately! I'll give some thought to your challenge and see what i can come up with. That is an incredible gift! How very thoughtful. I think I'd give up my sense of taste before my hearing. Never being able to hear my family or birdsong would be torture. That is an AWESOME gift! Love, love, love. I may have to steal the idea. I, too, would have to choose hearing. It's the only one that wouldn't terribly interfere with gardening and eating. Wow...I would love to receive a gift like this! Amazing. WOW - what an amazing gift. So much love and effort went into it I'm sure. And I love those cats!